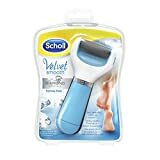 Scholl Velvet Smooth Express Pedi Anti-Callus Electric Grater softens the skin while eliminating callosities only in a few minutes, for soft, smooth and beautiful feet.Really easy to use, the Scholl grater is to use with regular motions exerting a light to medium pressure on calluses. After a few minutes, dead skin will disappear and your feet will become soft supple and smooth. Easy to handle, it suits the feet curves perfectly.The Velvet Smooth roll is an interchangeable roll with diamonds crystals, naturally exfoliating. It removes calluses easier.The box contains:- 1 electric grater,- 1 roll,- 4 AA batteries, – 1 protective cap. 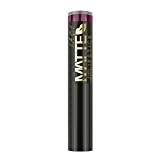 Lipstains Gold are the original 12 hour lipstick which will last through all activities, even eating and swimming and will give you added confidence with the knowledge that your lipstick is still there! 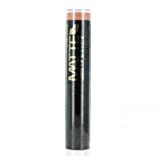 Long lasting, moisturising and conditioning in a full range of your favourite colours to suit all moods. The colour may vary slightly according to your pH. 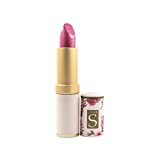 Lipstains Gold Super rich moisturising and conditioning formulation with Vitamin E and Castor Seed Oil helps create smooth, supple lips and acts as a barrier against harmful environmental influences.